With its fourth Charlotte production about to bark at Pease Auditorium, Sylvia has moved to the head of the class among playwright A.R. Gurney's most beloved works, surpassed only by his deathless Love Letters. 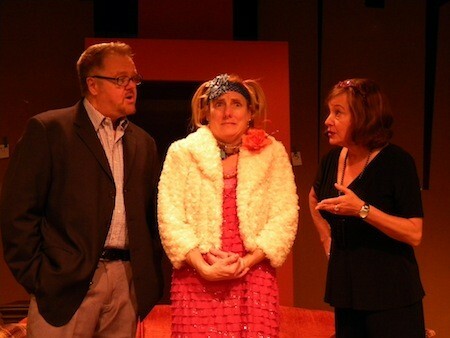 Sylvia's heroine is a home-wrecking poodle that Greg rescues from a nearby park, much to the chagrin of his wife Kate. Adoring the unemployed Greg, Sylvia begins to supplant the less-indulgent Kate in her master's affections — while gaining a territorial foothold in their Manhattan apartment. We also join Greg and Sylvia on their sentimental returns to the park, where Sylvia can more fully display her playful, animal, and sexual tendencies among the other pooches. Featuring Dennis Delamar and Polly Adkins as Greg and Kate — not to mention Matt Kenyon romping about in various genders and breeds — Central Piedmont Community College Theatre's Sylvia is self-recommending for knowing theatergoers. Newcomer Shawnna Pledger is an unknown quantity in the title role, but with so many local actresses salivating after this doggie treat, she's bound to be good. $16. Oct. 28, 2:30 p.m., Nov. 1, 7:30 p.m., Nov. 2-3, 8 p.m., Nov. 4, 2:30 p.m. CPCC's Pease Auditorium, 1201 Elizabeth Ave. 704-330-6534. http://arts.cpcc.edu/.